A man's got to do what a man's got to do. This John Wayne plastic nite lite measures to 3.5" across and 3.25" tall. 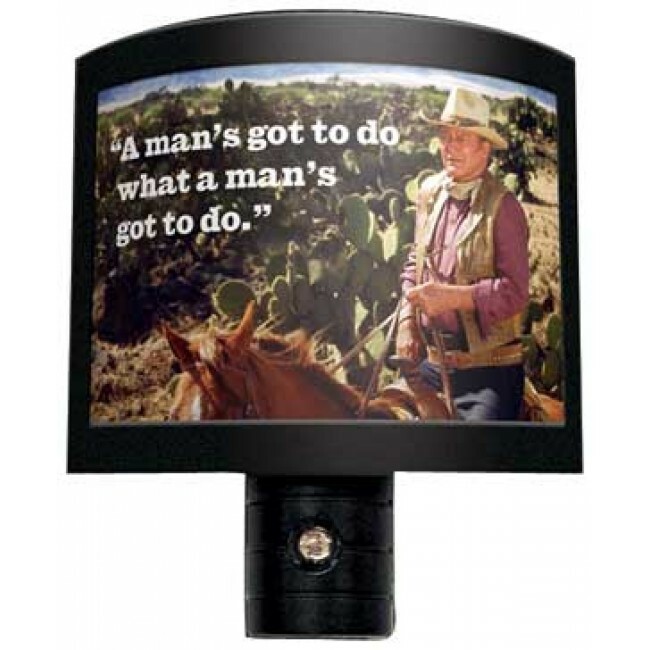 Plug it in and shine Duke's famous quote in any room. Comes equipped with automatic light sensor so it turns itself off!